Only 2 Weeks Left of Tinsel Training! It's hard to believe we're already halfway through the Tinsel Training season. Don't miss the remaining classes, Wreath Making and Centerpiece Making. Register now before the classes fill up! 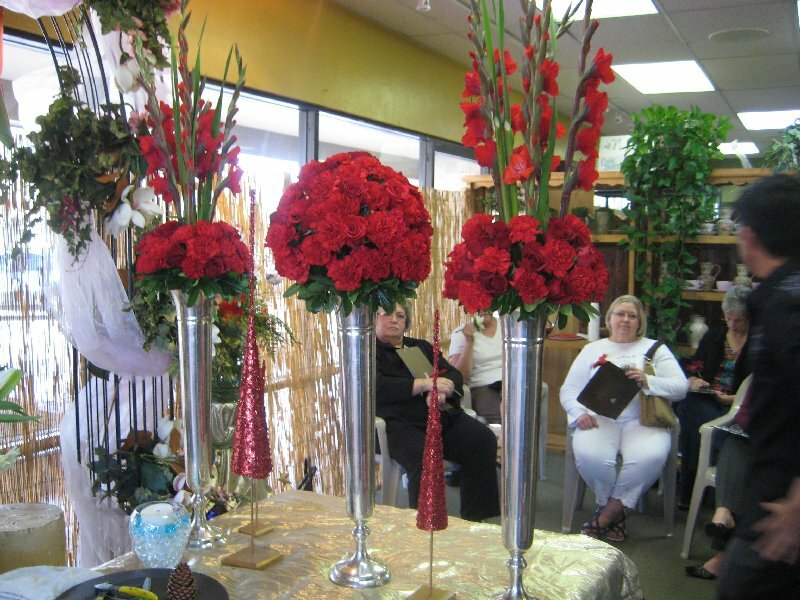 Here are a few pictures of last night's class, Entertaining with Style, which was held at our Glendale store. Leonard Chayrez demonstrated several ways to make a breathtaking holiday table using just a few types of fresh flowers, Christmas greens, and household items. This time of year, we love entertaining and showing off our homes while they are decked out for the holidays. Before the parties commence, feel confident that your décor is designer style by attending Tinsel Training. You'll learn from Cactus Flower's most talented designers on tree decorating and entertaining, or bring home your own centerpiece or wreath to enjoy all season long. We're offering multiple classes at two store locations to fit every schedule, including free lecture classes to fit every budget! Register today as class size is limited. How to Create a Designer Tree - FREE! Entertaining with Style - FREE! Beautiful Holiday Centerpiece for Just $10! This month's Fresh Ten special is 10 alstroemeria for $10. This South American flower is full and showy, perfect for simple vase arrangements. Alstoemeria is known for its longevity, with a vase life of up to two weeks. Find a Cactus Flower store near you to pick up your $10 bunch of alstroemeria today! You Received a Potted Orchid - Now What? Potted orchids are a popular gift these days. It's no wonder why; they add a delicate beauty to any room and give you a feeling of exotic luxury (like sitting on a beach in Hawaii!). Cactus Flower is currently offering a special on orchids in a funky green tin pot or glazed ceramic pot for $30 and $40, respectively. Orchids are a great choice for a long-lasting gift. With proper care, orchids can last several weeks if not months! 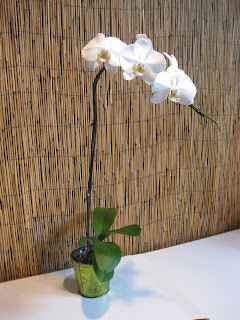 Here are some care tips for the phalaenopsis orchid, which is the type in our special. The phalaenopsis orchid prefers low light, preferably from the north or east. You will know if it's getting enough sunlight by the color of the leaves: Too dark means not enough, and yellowing leaves mean too much. If the leaves are bright green, the lighting is perfect. Orchids are happiest in temperatures that make YOU comfortable. Daytime temps of 75-85 degrees Fahrenheit and nighttime temps of 60-65 degrees are ideal. Orchids prefer this fluctuation in temperature, and without it, may refuse to flower. They also prefer some humidity as they are native to the rain forest, so bathrooms with indirect sunlight are the perfect household location. If you live in Phoenix, you may want to increase your plant's access to moisture by placing your plant in a shallow dish of pebbles and water, keeping the water below the top of the pebbles. Don't let the pot touch the water or the roots could rot. As a general rule, water your orchid once every 5-7 days. 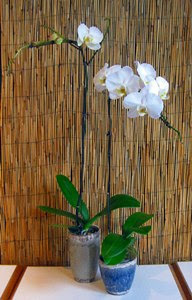 Let the orchid dry out between waterings, and never allow it to sit in excess water. When the last bloom drops, cut the stem halfway down. Continue caring for it just as you have for weeks and cross your fingers for a possible rebloom! We're celebrating this humid monsoon season with a special on 2 potted orchids: one in a funky paisley-print green tin for $30 and another in a beautiful glazed ceramic pot for $40. These are normally $65 and $80 respectively, so choose this as a gift for any occasion while they last! Available in white and purple. 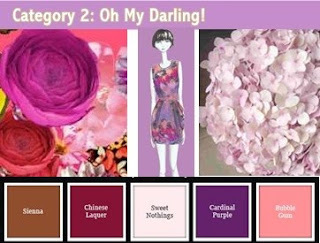 Please call the store for color availability, or let us choose. Ah, dahlias. It wouldn't be summer without them. With over 50,000 named varieties, the dahlia has continued to dazzle the world since it was discovered in the mountains of Mexico over 200 years ago. While their plump perfection make even a single stem a vision to admire, a group of dahlias naturally nestle themselves into a vase, making instant designers of us all. Just $10 gets you a bunch this July, so don't miss out! Find a store location near you. Not sure what to do with dahlias? Watch this quick video demonstration given by Dan, our buyer. This video is first in a new series, Fresh Ten Films. 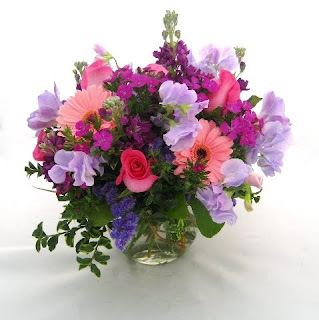 We'll offer one every month with ideas on how to use your Fresh Ten flowers! It's a program we've had for several years but don't talk about very much. I don't know WHY; it's a great deal! I'm talking about our Happy Hour pricing we run every Friday in all stores: 50% OFF fresh cut flowers in our cooler from noon to close. Just come in, select your favorite flowers (or ask us for help), and we'll wrap them with our signature purple paper and cellophane. It's a great hostess gift on your way to a dinner party, or as a spontaneous sign of your love to your partner. Heck, it's the perfect excuse to buy YOURSELF flowers to enjoy on your kitchen table. Just today at our Chandler location, a woman came in a second time in one hour for happy hour flowers. The first time she had bought flowers for her son, but on her way to deliver them to him she couldn't stop smelling the stock she had bought. The smell brought back fond childhood memories of visiting a stock farm in California with her mother. It brought her such joy, she just had to come back and get more for herself! Now that's the power of flowers. It's a Blockbuster of a Deal! Considering movie tickets cost around $10 these days, our Date Night Dozen is quite a deal: a dozen red roses with two Harkins movie passes for $40! How do we do it? Well, it's rose season so our dozen roses (regularly $65) are now $30. We're adding the two tickets on for just $10, so it's sort of a buy-one-get-one-free offer. So what would normally cost $84 is only $40 until the end of June. Hurry, we have a limited supply of passes and they are going fast! Those Crazy Rose Deals are Back! It's INSANE. Our dozen red rose arrangement - normally $65 - is $30 for the month of June. Heck, you can get TWO dozen for just $50! You think that's a good deal, you should hear about our FreshTen offer: a dozen red roses wrapped for TEN BUCKS. Why so cheap? Well, little does our friend Cupid know that roses are actually NOT great for florists or lovers in February. In fact, roses are a summer flower and are in their prime in June. So that means there is an abundance of roses in our hemisphere right now, as opposed to at Valentine's Day when florists' delivery vans get stuck in snowstorms. So...we think Valentine's Day should be officially moved to June. 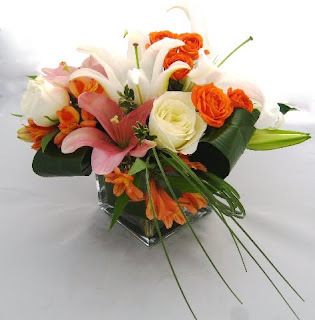 Blythe Lipsman, Scottsdale author and baby expert, told the Arizona Midday audience that new fathers should visit Cactus Flower and schedule flower delivery to their wives for three months after the baby is born. Efforts like these help keep new parents connected as a couple Check it out! Thanks to the 300+ of you that voted. 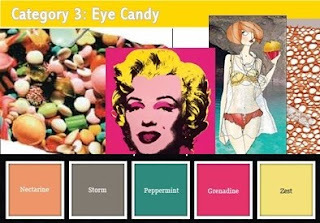 You really have no idea how much your input helps us when coming up with new product designs. Your opinion DEFINITELY matters! Stay tuned for the launch of these and other top designs on CactusFlower.com! Be our Project Floral Runway Judge! 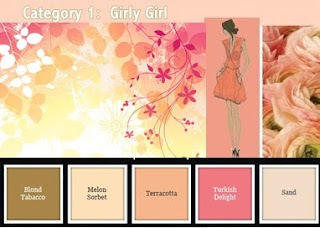 The arrangements with the most votes will be added to our Cactus Flower Exclusives collection on CactusFlower.com. 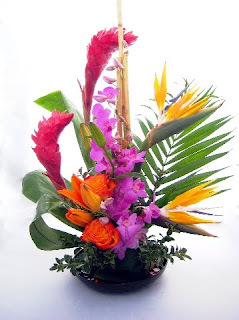 Check out the arrangements and cast your vote! VOTE NOW! As many of you have noticed, we have been in the process of moving all of our services and deliveries out of our Scottsdale & Bell Rd location and into our original store at Scottsdale Rd & Mercer Ln for many months. As of Friday, 2/20, the Scottsdale & Bell Rd store has officially closed. We have enjoyed this large space for over a decade, but times were very different when we broke ground at this location 10 years ago. Like many small businesses, our business strategy must follow market trends in order for us to succeed. Our delivery zones have not been affected by this move. In fact, we are in the process of looking for a new north Valley location that will allow us to expand our delivery zones even further north. We have also opened a new location in Chandler at Alma School & Germann Rds to expand our services in the east Valley. As our business continues to evolve, we appreciate your loyalty and are grateful for allowing us to be there for all of your life's most special moments. Thanks to all who came out to our Chandler Grand Opening! It's so great to be in the southeast Valley. Here are some photos from the weekend event. We gave away a WEDDING to a lucky East Valley bride, a dozen roses, and a custom arrangement! Come check us out at the SW corner of Alma School & Germann Roads! 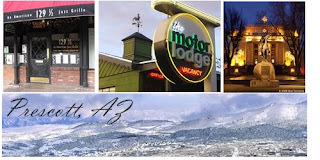 Win a Romantic Getaway to Prescott! All of you Phoenicians could use a little snow...that's why we're sending two of you to Prescott, AZ, for a romantic winter retreat! All you need to do is tell us, How Would You Describe the Perfect Valentine's Day? The best response (in our estimation) wins dinner at the romantic 129 1/2 Grille: An American Jazz Grille, a cozy stay at award-winning The Motor Lodge, and brunch the following morning at Monk's Restaurant! Winner will be chosen on 2/12/10. Package is valid after 2/15/10. Submit your response now! Free Restaurant Delivery this Valentine's Day! SHOP NOW and enter promo code DINNER!